As part of the 2017 Melbourne Festival, Melbourne musician Ella Thompson (Dorsal Fins) assembled the ultimate super-group to deconstruct pop music. Acclaimed for infectious vocals, dreamy synths and heaving rhythms, Like Running Water saw Thompson team up with the electronic forces of Clio Renner and Sui Zhen along with strings and a woodwind quartet to create a multi-dimensional experience exploring themes of water. 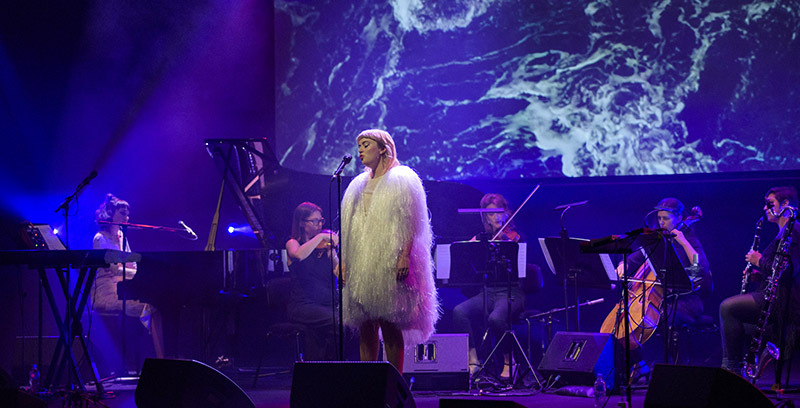 Accompanied by lush visuals by Prue Stent and Honey Long, the work was a four-dimensional encounter with contemporary composition that built on the powerful tradition of female collaboration in the Australian music scene. 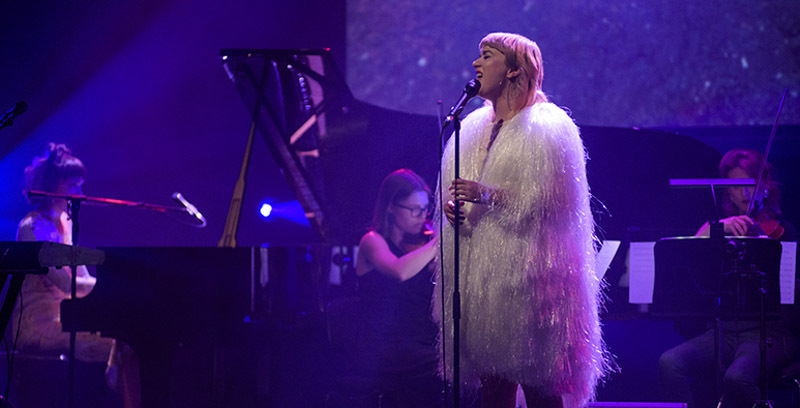 Watch a short video of the concert at the top of this page or click the following links to discover more about Ella Thompson, Clio Renner and Sui Zhen.